Blaring trumpets are the first harbingers of royalty afoot. A solo figure jets across the landscape, soaked in the sweat and tears of dedicated labor, his eyes deliberate and lips curled into a menacing sneer. The music slowly builds to crescendo. Enter an obstacle -- a staircase, perhaps -- that the figure surmounts with ease. A glove-sheathed fist rises in triumph. Let no audience member doubt: This is the Rocky universe. A 30-year franchise filled with such consistent cornball stylization that you could catch any of the first five entries on cable and spend a few minutes figuring out which one it is, the Rocky movies boast one of the most endearing pop personalities this side of James Bond. Boxing stories were great before Sylvester Stallone created the lovable champ, but the series uniquely embodies the sport's main attractions: brutal competition and an endearing cult of personality. 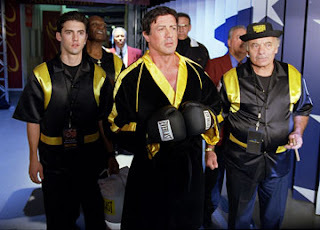 Rocky Balboa, written and directed by Stallone himself, needs no Roman numerals to enhance its clout; the title signals the completion of one mighty tardy character arc. Nothing smarts like a lost battle. Although Clint Eastwood’s Letters from Iwo Jima makes an engaging case for the relevance of individual perseverance amid warfare, it’s still a downer to watch hordes of Japanese soldiers off themselves in the face of certain defeat. The story encapsulates a month-long confrontation in early 1945 between the United States and Japan on a sulfuric landmass in the middle of the Pacific with no easy way out. Earlier this year, Eastwood’s first exploration of the events, Flags of Our Fathers, exclusively identified with American soldiers—while their enemy lurked intangibly in the shadows. Despite a few justified jabs at rampant star spangling (a single patriotic photograph distracted the folks back home from the ongoing casualties of war), Eastwood curiously chose to conclude by glorifying the survivors and washing away the trauma of casualties with facile sentimentalism. 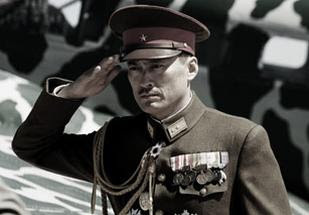 Letters from Iwo Jima, which takes the Japanese perspective and adopts their language, avoids the temptation of an incredulous feel-good climax. It shoots a menacing scowl at Flags of Our Fathers and never lets up—like watching a showdown between Schindler’s List and Shoah. A sweet, harmless story of patriarchs and sons, Family Law provides a refreshing take on the typical heartwarming yarn: nobody is dysfunctional. Argentinean writer/director Daniel Burman doesn’t gather heaps of sorrow for the sake of easy drama. 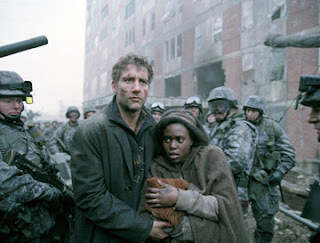 Instead, the story remains entirely credible, never forced and fairly universal in scope. The complexity arises from the psychological depth allotted to protagonist Ariel Perelman (Daniel Hendler), a Buenos Aires law professor who divides his time between delivering lectures on witness depositions, romancing his favorite student (Julieta Diaz) while she teaches him Pilates and hanging out with his lawyer father, Bernardo Perelman (Arturo Goetz). Steven Soderbergh likes to play with movies. With Ocean’s Eleven and its wildly experimental follow-up, the director pinned down virtually every vital element of the heist genre and stirred the grand concoction into slyly self-aware entertainment. 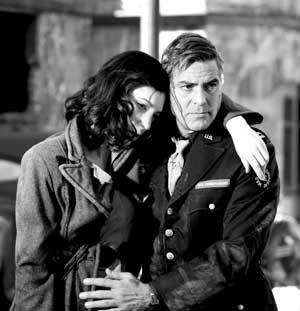 In The Good German, Soderbergh uses darker material, and no less homage, but it is not as successful. Although not himself a mad scientist, Soderbergh’s method is always scientific. As a basic experiment with film form, the movie unfolds with droll commitment to the conventions of noir, with giddy boosts from evocative black-and-white photography and an overbearing orchestral score. The story borrows lazily from The Third Man and Casablanca, but that seems like a prerequisite for this exercise. 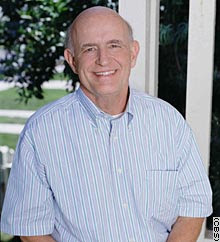 Famed character actor Peter Boyle has died. I believe I encountered his horny Frankenstein creation in the Mel Brooks classic before I'd even heard of Boris Karloff. And although I never really got into Everybody Loves Raymond, Boyle's amusing geezer persona on that show was a great antidote to Romano's detestable whine. I might be exaggerating, but it certainly feels like I ran into Boyle at nearly every major movie premiere I attended over the past year. As far as I could tell, the guy was mighty affable and understand the importance of going out for a good time. During our brief chat before an exclusive MoMA screening of Thank You For Smoking--I had been waiting for Robert Duvall, but publicists ushered him away, so I randomly started up with Pete-- I asked him where audiences could catch his next performance. "The Santa Clause 3," he said, his wizened frow rising up two puffy eyebrows. Then he raised his pitch ever so slightly, simultaneously casting an aura of mystery and deflating it with just a tinge of cynicism. "I play Father Time..."
"So what else are you working on?" I asked, a little creeped out despite his intriguing delivery. The response was instantaneous. "My life!" he said, his arms rising up in a mock messianic fervor. "I'm working on my life..." And then he drifted off to join the crowd. If that work is done, the movies tell the tale. Werner Herzog's The Mystery of Kaspar Hauser, a new print of which screens this week at BAMcinematek, isn't the legendary director's finest fiction film -- that honor belongs to Aguirre: The Wrath of God -- but it remains, after 32 years, his most sensitive and heartfelt character study. The typically morose Herzog left a mark on the German New Wave of the Seventies with a series of stories examining the darker side of human nature, a tradition he has kept alive in documentaries such as last year's Grizzly Man. 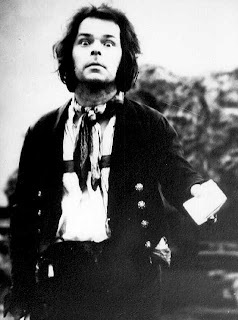 Of course, Kaspar Hauser is nothing if not existentially bleak, but Herzog projects a striking quality onto his titular hero, one that prevails until the bitter end: sympathy. 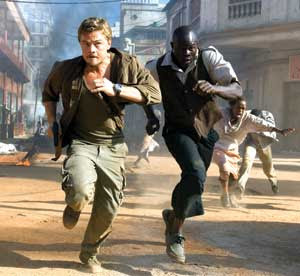 When Leonardo DiCaprio first speaks with a heavy South African accent in Blood Diamond, the familiarity of star power comes careening hard and fast into uncharted territory. This pretty face threatens to erase any versatility the actor possesses that might allow him to vanish into character, although everything else about his performance as the slick diamond hustler Danny Archer fulfills our expectations of the famously wiseass thespian. Even when DiCaprio plays a risky role, he doesn’t stray too far from home. Nick Nolte seems to be morphing, in look and sound, into to a less benign version of Tom Waits. The difference, of course, is that Waits's gruff vibe is the perfect contrast to his melodic tranquility, while Nolte just sounds old and cranky. That makes him the ideal candidate to play the over-the-hill high school baseball umpire Ray Cook in Off the Black, though his qualifications for the role are the best thing this standard, heartwarming buddy movie has going for it.